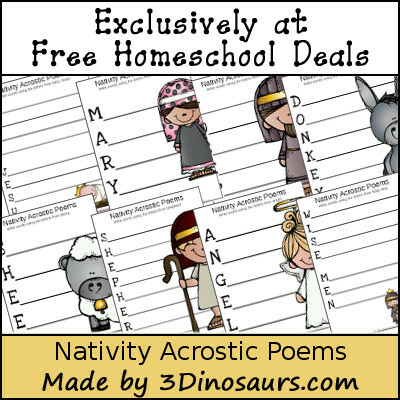 This is a post by Free Homeschool Deals contributor, Cassie Osborne from 3 Dinosaurs. Christmas is such a fun time! I love that there are so many different things you can study and learn about. The story of the Nativity is one of my favorite activities. It is lots of fun to study.